‘Incident’, together with ‘Border Incident’ by Willie Doherty, demonstrates the way our understanding of photographs is informed by the context in which they are viewed and how language supplements the image in the form of title and/or caption. 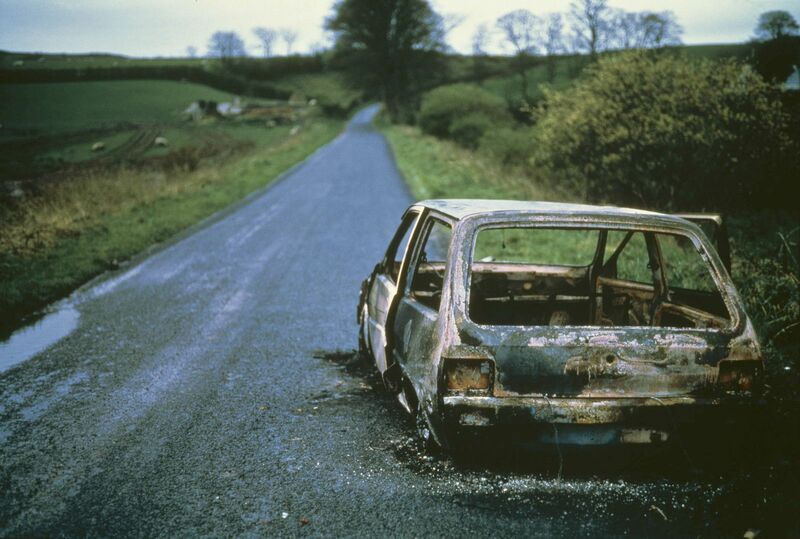 Both images are large, detailed, close-ups of burnt out cars abandoned in the landscape. The straight on camera angle in the photographs adds to the sense that we are being presented with a factual description. Both works are given a political charge because of the use of the words ‘border’ and ‘incident’ in the titles, immediately evoking the violence of Northern Ireland’s recent past and suggesting that we are looking at the aftermath of conflict. However, one of the two images depicts a car that has simply been illegally dumped. Typically for Doherty’s work the signposts offered by the titles misdirect rather than guide.